In 1927, the young English swimmer Mercedes Gleitze crossed the English Channel wearing a Rolex Oyster timepiece. At the end of her 10-hour journey, the device hadn’t skipped a second. 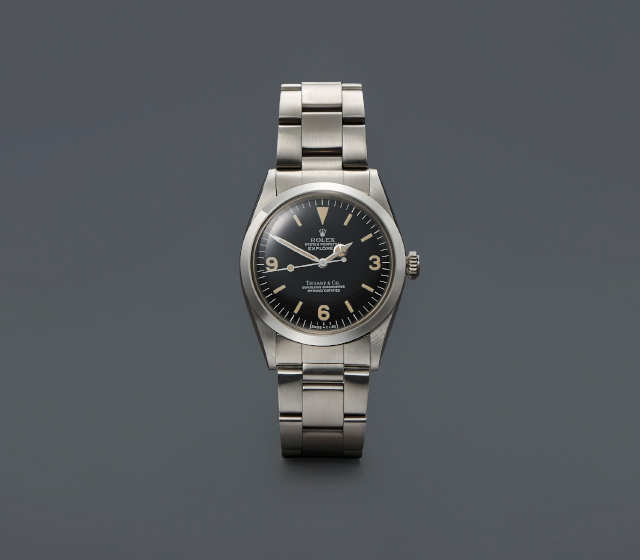 It was the world’s first waterproof watch and just one of Rolex’s many innovations. For more than 100 years, Rolex has revolutionized watchmaking and accompanied pioneers around the world, from the highest mountain peak to the ocean’s abyss. When Hans Wilsdorf founded his company in 1905 in London at the age of 24, his first task was to find a name. He combined the letters of the alphabet in every possible way, but nothing felt quite right. One morning, while riding on the upper deck of a horse-drawn omnibus, he said, “A genie whispered ‘Rolex’ in my ear.” This was the first of his many flashes of brilliance. In 1910, a Rolex was the first wristwatch in the world to receive the Swiss Certificate of Chronometric Precision, granted by the Official Watch Rating Centre in Bienne. After the debut of the Oyster in 1926, Rolex invented and patented the world’s first self-winding wristwatch with a Perpetual rotor in 1931. To this day, this system gives life to all automatic watches, capturing the energy generated by the wearer’s slightest move. For every kind of explorer and achiever, there is a Rolex. In 1953, Sir Edmund Hillary and Tenzing Norgay, the first climbers to reach the summit of Mount Everest, were equipped with Oyster Perpetuals. That year also marked the introduction of the Submariner, the first divers’ watch waterproof to a depth of 330 feet, with a rotating bezel that marks how long a diver has been underwater. In 1955, the GMT-Master was developed for pilots in collaboration with Pan American Airways, with a bezel that simultaneously shows the time in two time zones. The popular red and blue version is affectionately referred to by watch aficionados as a “Pepsi bezel.” In 1956, the Oyster Perpetual Day-Date made its debut, the first wristwatch to spell out the date and day of the week on the dial. Produced only in platinum or 18 karat gold, it quickly became the watch of moguls and magnates. In fact, it is said that American presidents wear this watch more than any other. But perhaps the most collectible Rolex on earth is the Cosmograph Daytona, designed for racecar drivers with a tachymetric scale on the bezel that calculates average speed. Introduced in 1963 and beloved by Paul Newman, it has only become more desirable with time.